THETRIBE.CO.UK gives a warm welcome to Bevin Linkhorn to our tribe cast interview. 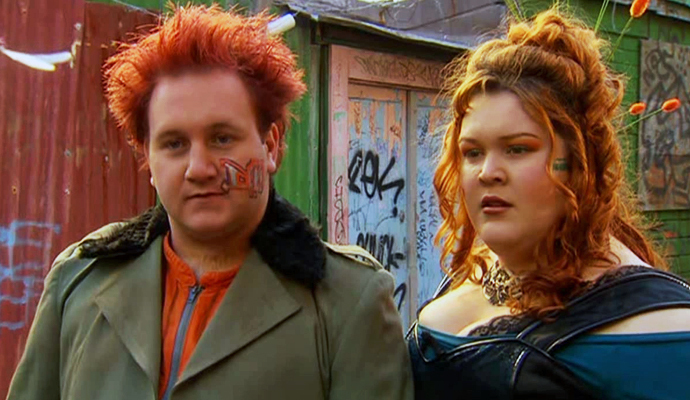 Bevin played the role of Ned in series 3 of The Tribe – a rather brash and arrogant individual who appears unlikeable, but underneath it all, he is just trying to do what he can for those that he loves. From what we can see of your endeavors in the industry, it is clear that you are more interested in the behind-the-scenes aspects of television and films, something that Vanessa Stacey (Alice) also mentioned that she was more passionate about in our recent interview with her. So how exactly did you end up in the role of Ned in The Tribe? Was it something that you actively pursued, or did you initially target working on the production side of the show? 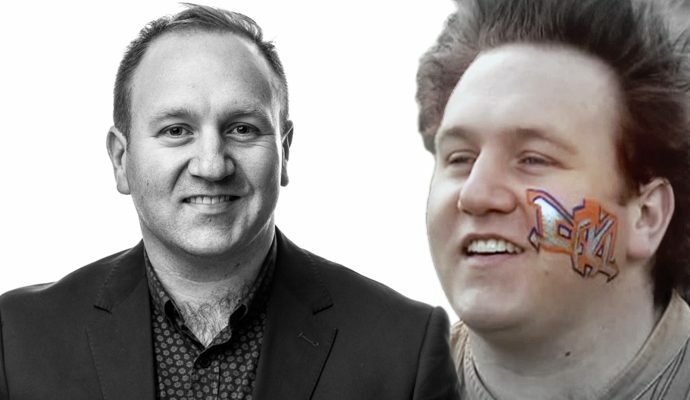 I auditioned for the role of Ned and was lucky to be cast in the role. Prior to working on The Tribe I was acting in various theatre productions, short films and TV commercials, but I was also writing too. Writing has always been part of what I do and I really enjoy it. I like the idea that I can create my own work and creative projects that might be able to attract other people too. I only started thinking about working on the production side of the show once I started acting on the series. What was it like working with a close-knit cast, most of them a lot younger than yourself? Did you encounter any difficulties integrating with the group at all because of the age difference? And did being a part of a family unit with Andy and Tally (James Ordish and Amelia Reynolds respectively) help with that integration in any way? I joined the show in season 3, so the cast and crew were all very familiar with each other. They had all developed a strong work ethic and kept things moving swiftly during filming. We got a lot filmed every day! It was a fast turnaround kind of show. There was always new guest cast coming and going too, so everyone was used to welcoming new people all the time. I already knew Vanessa (Alice) from theatre work, and some of the crew and directors too, and they all made me feel welcome. It was fun to hang out with my on-screen siblings too, James and Amelia. I’ve got a sister, and step siblings too, but not as young as Andy and Tally, so that was a new experience for me. Amelia and I kept in touch and she’s now doing a lot of acting in Auckland. Speaking of integration, some viewers found it somewhat difficult to completely ‘click’ with the character of Ned, despite your often quirky and upbeat performances. Why do you think that this might have been the case? Perhaps because he sometimes had a hidden agenda, so you never knew if he was plotting something in secret. He was very protective of his younger brother and sister and his role as a protector probably meant he would mask his true feelings for people outside of the family group. Do you have a favourite memory from your time on the show? 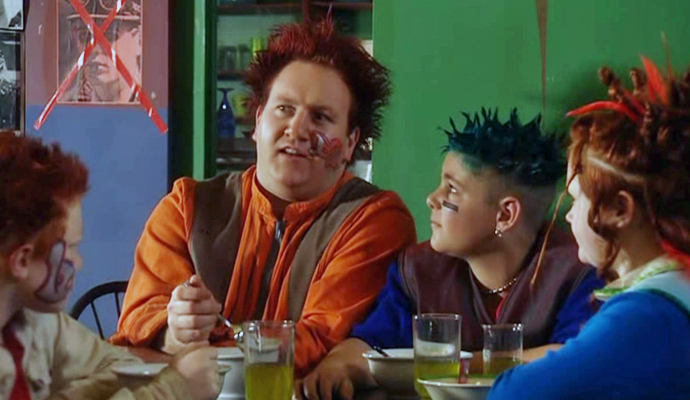 I remember thinking that my 10 year old self would be so freakin’ proud of me, to be acting in this crazy fun TV series, having my hair dyed red, with kooky face graffiti and getting to act every day. I remember that I made the most of the experience, as an actor you don’t always get a long contract on any project, so to have about 5 months of solid work on a TV series was a very valuable thing. I learnt a lot about television production. One scene I remember filming, it was Ned and Alice out on a date having a picnic near a river somewhere, and I had to pop a bottle of champagne (don’t ask me how the champagne survived in post-apocalyptic earth!). I had to pop the bottle and then kiss Alice. Bottle popped successfully, flew up in the air and I went to kiss Alice and we heard a THUD SHUDDER and the crew started laughing. The cork had landed on the lens hood on the camera, shaking the camera and ruining the shot. I aimed the cork a different way on the next take. What were the circumstances which ultimately facilitated your departure? And did you feel that Ned’s exit was what you personally would have wished? Ebony! She’s a crafty one, and she took Ned out. It came as a shock and a surprise when I read about Ned’s demise in the scripts, but that’s the demands of dramatic storytelling. There has to be goodies and baddies and sometimes good people get taken out before their time, to shock and surprise the viewers! Eagle-eyed viewers will of course have noted that you remained connected to the show, and even went on to write the screenplay for an episode of series 4. What was it like working on the production? And how do you find the process of writing a script right bang in the middle of different events and whilst juggling several characters? Once Ned died I joined the Cloud 9 script office, based in the production office at the studio. One of the executive producers knew that I was a writer and had seen my work (and I’d just been nominated for a writing award at the Wellington Theatre Awards), and they had an opening in the script office. It was our job to make any script edits to the scripts that production required, especially if there was a change of location, or cast, or if the directors and producers wanted a change made. I learned a lot about on set television production practice as an actor, but in the script office I learned a lot more about the wider production issues and how productions are pieced together. I liked the creative problem solving that was part of the script editing too. All of the scriptwriters were based in the UK, so when series 4 was gearing up I pitched some ideas to the executive producers in New Zealand, and that led me to getting to write a full episode of series 4. I worked with the head writer in the UK to write my script, sending him various outlines, scene breakdowns and drafts. We spoke on the phone a few times too, discussing script notes. I found the process really fulfilling and it led me to working as a script editor on many other TV drama series. A lot of The Tribe cast have often bumped into each other on different productions within New Zealand. How did you end up within the cast for Futile Attractions, which also featured Tribe alumni like Michelle Ang (Tai San) and Lee Donoghue (Spike)? Mark Prebble, the co-writer and director of Futile Attraction, worked as a camera assistant on The Tribe, so when he was gearing up to get his own script made he approached a few people in the cast. It was great that so many of the cast helped him out. It can be really hard for a film-maker to get any film made and you have to call on favours and contacts that you make in all aspects of the industry. I went on to work with Antonia Prebble for a year on a children’s after-school TV show, where she was the presenter. I worked as both an actor and a scriptwriter on that show (WNTV, or What Now TV). The show was set behind the scenes at a TV station, where Antonia was the presenter of a kids’ show. I played the security guard who sat on the reception desk, and also a vision mixer in the control room, who mixed between the live-to-air camera pieces and the cartoons that played in the show. It was a bit like a mix of The Muppets and a sitcom. It was really unique and funny, and the audience loved it. The show was on air for 2 years and we made 390 episodes in total. We filmed in the studio but we also travelled around New Zealand filming in different cities and attractions. It was a good gig! 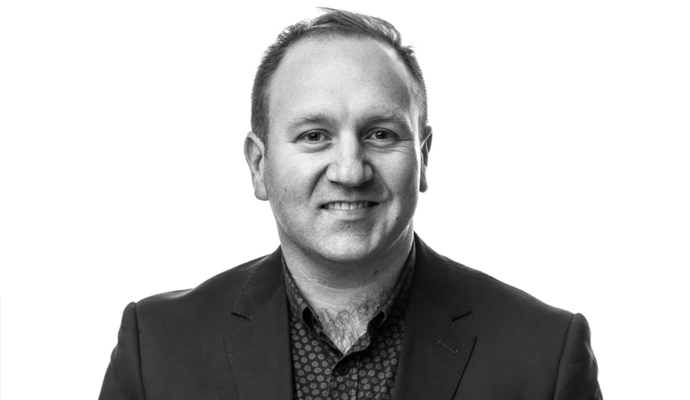 You are now a producer and are currently in charge of the New Zealand production company, Good Times. Tell us about that and about your involvement. I co-adapted and am producing an adaptation of author Emily Writes’ book (and blog) Rants into the Dark. It’s Emily’s story as a new parent and all of the trials and tribulations that involves. Emily is a very funny writer, and she’s got a wide readership on her blog. It’s hilarious, laugh out loud funny, and very heartfelt. Her book was published in 2017 and quickly became one of NZ’s best-selling books of the year. We’ve initially adapted it as a theatre play and it has its premiere season at Wellington’s Circa Theatre this January/February: https://www.circa.co.nz/package/rants-in-the-dark-2019/ It’ll start as a theatre play and hopefully turn into a screen story down the track, but first we’d like to tour the show to as many places as possible. I also work at Pukeko Pictures as a story producer on their animation series Kiddets. Pukeko is associated with Weta Workshop. Kiddets is a great series, that focusses on STEM and STEAM learning principles for young children. I’ve got a great team of writers that I work with to create storylines and scripts for the production team. We’re currently in season 2 of the show. The series plays in China, New Zealand, Australia and hopefully more markets too. Is there anything else that you would like to tell your fans? The Tribe is a series all about empowering young people to make decisions and take charge of their lives. In a world with no adults telling you what to do, you have to band together and make things happen. I think that’s a powerful theme for young people, friendship, teamwork and perseverance, and it’s perhaps why The Tribe connected with so many people around the world. Thanks for watching The Tribe and for being interested in what I’ve been doing in the years since! A huge thank you to Bevin for taking the time to participate in our interview, and we look forward to seeing more of your work! 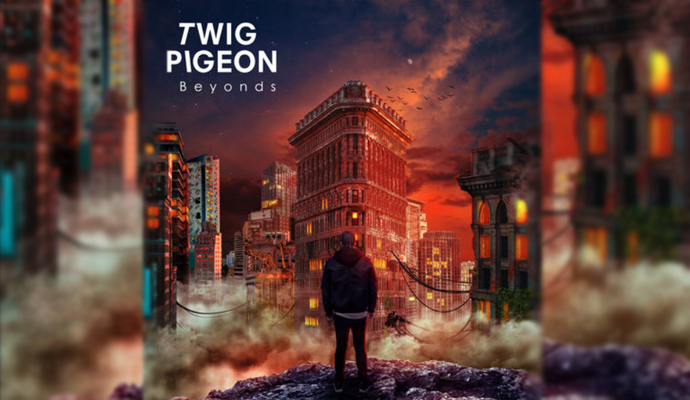 Twig Pigeon has just released a new track off of the upcoming EP 'Beyonds', featuring Vanessa Stacey (Alice). 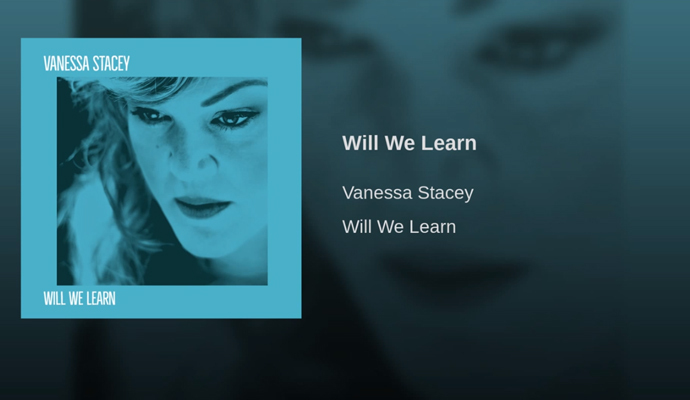 Vanessa Stacey (Alice) has released a new single titled Will We Learn.